The legendary kylin has a deer's body covered with scales, one horn on the head, horse's feet and an ox's tail. It is considered as an animal of morals and benevolence and all previous monarchs considered it as a symbol of peace and prosperity. 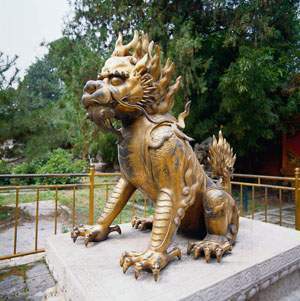 The kylin can be found in the emperor's dwellings and gardens such as Forbidden City (gù gōng 故宫) and Summer Palace (yí hé yuán 颐和园) in Beijing, either made of copper or stone. The common people also think highly of the kylin. In Spring Festival (chūn jié 春节), people living south of the Yangtze River often carry a paper kylin to express their best wishes to others. There is also a legend of "Kylin Sending a Son"(qí lin song zǐ 麒麟送子) in China. On one hand, people take kylin as the symbol of promising descendents; and on the other hand, they wish to have a son soon and make family prosperous. The phoenix wears a beautiful crest and multi-colored plumage. It is an imagined auspicious bird combining features of many birds and animals. The phoenix is the "king of birds" in Chinese legends, indicating auspiciousness, peace and good government. 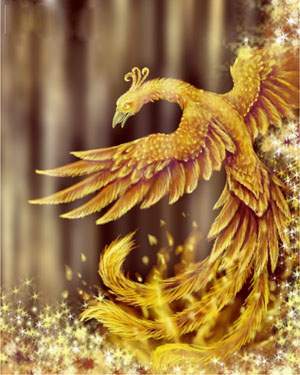 Just like the dragon, the phoenix was considered as a symbol of power and dignity by ancient monarchs. The phoenix coronet, phoenix cart and anything related to the phoenix could only be used by the royal family and immortals. However, later the phoenix also became the mascot of ordinary people. Particularly in traditional Chinese weddings, the phoenix becomes an ornament on the bride's wedding dress and headdress, representing auspiciousness and festive rejoicing. The phoenix is also widely used on traditional decorative patterns among Chinese people, implying auspiciousness and peace. The phoenix is often used with other mascots to form new patterns, such as "Prosperity Brought by the Dragon and the Phoenix" and "Prosperity Brought by the Phoenix and the Kylin", also symbolizing that everything is as lucky as one would wish. The tortoise is the only existing animal among the four deities, and also the animal enjoying the longest life. People not only regard the tortoise as a symbol of health and longevity, but also believe that it has the sagacity to foresee the future. In ancient times, before important activities were held, a wizard would roast a tortoise shell and then practice divination according to the way the lines split on it. Therefore, people call the tortoise the "divine tortoise" or "sagacious tortoise". The divine tortoise was highly respected in ancient China. 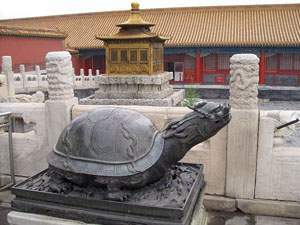 In the imperial palace and residences of ancient monarchs, there were stone or copper tortoises to symbolize the longevity of the national destiny. 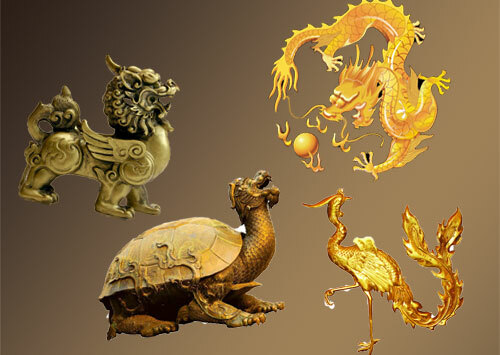 The dragon is considered the largest divine animal in China, and its most popular mascot. In this case, the dragon has an ox head, deer's horn, shrimp's eyes, eagle's claws, snake's body and lion's tail; its body is covered with scales, and it is really a combination of many animals. As people imagine, the dragon can walk on land, swim in water, and fly in the clouds, with inexhaustible magical power. For thousands of years, feudal monarchs held it as the symbol of power and dignity, and ordinary people believed that it was embodiment of virtue and strength. Thus, the dragon can be found everywhere in China. The roofs of palaces and temples, and the furniture of the royal family were all carved or drawn with a dragon. On festive occasions, ordinary people put up pictures of the dragon, dance with a dragon lantern and row a dragon boat. People like to name their children with the Chinese character of the dragon. 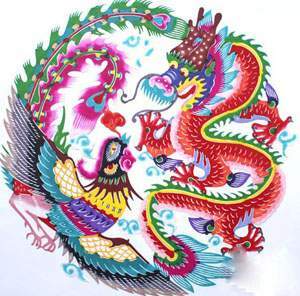 The dragon has become the symbol of the Chinese nation. 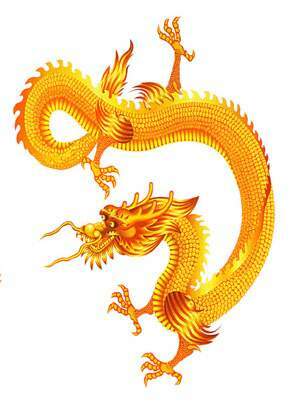 And all the Chinese throughout the world think themselves as the "offspring of the dragon"(long de chuán rén 龙的传人).